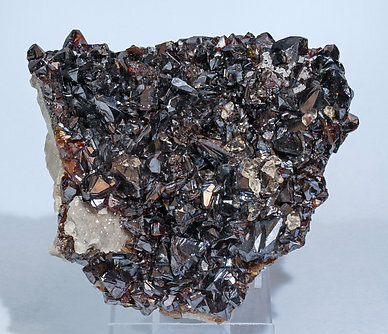 The group, whose crystals have the form typical of Sphalerite with a dominance of the tetrahedron, is very well developed and the crystals have neat growth patterns. 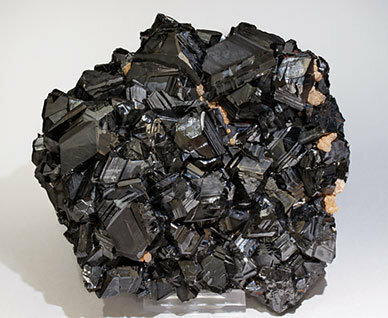 Its size, black color, intense brilliance, and good position of the group on the Quartz matrix all make this especially attractive. 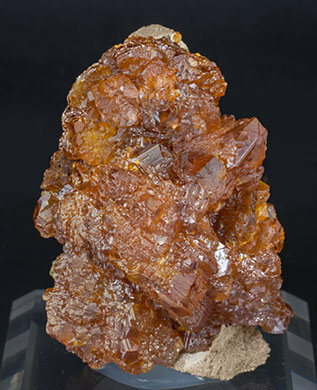 A group of unusually sharp and very well defined tetrahedral crystals that are translucent and bright and have a very vivid honey yellow color. 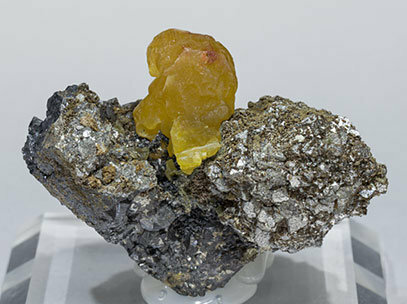 The sample is from a very timely finding at the Bouismas mine. 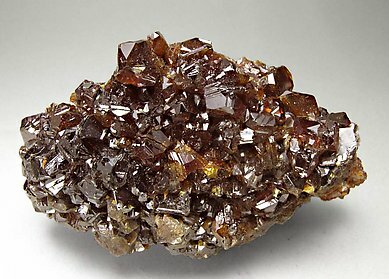 Aggregate of complex Sphalerite crystals, very rich in faces that combine smooth and rough surfaces. The crystals, bright and between translucent and transparent, have a very intense orange color, easily visible with intense lightning. Group of crystals that are very rich in faces with the predominant form of the tetrahedron. They are bright, translucent, and have an extraordinarily intense and deep green color. The sample has a very much greater quality than those from the more popular 9 September Mine and, in fact, due its transparency and the intensity of its color it is possible to consider it of a better quality than the worldwide famous green Sphalerite from Picos de Europa, Spain. 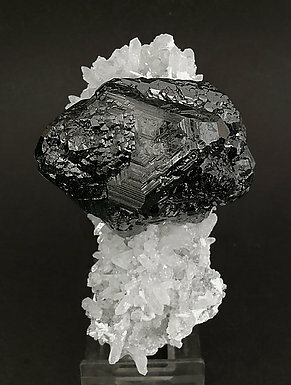 A complex crystal with curvatures on its faces and edges. It is transparent and has an excellent deep honey color. The back side shows exfoliated surfaces. 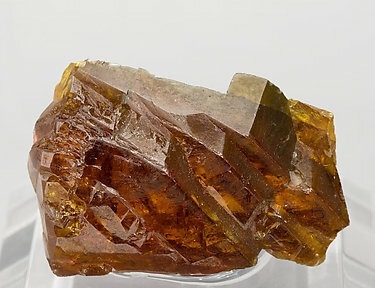 Very sharp Sphalerite crystal with some curved edges. 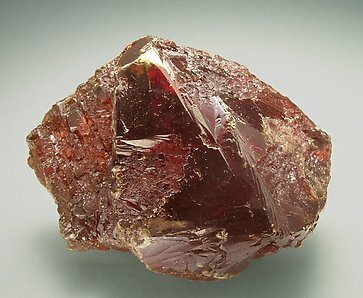 A translucent sample with a good honey to red intense color. 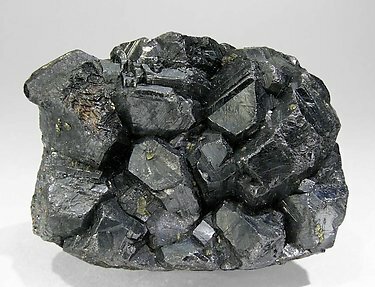 Group of very well defined crystals that came from a small well-documented Pyrite mine not known for well-crystallized samples of Sphalerite. The citation A. d'Aboin on the label seems to refer to an engineer of the mine. 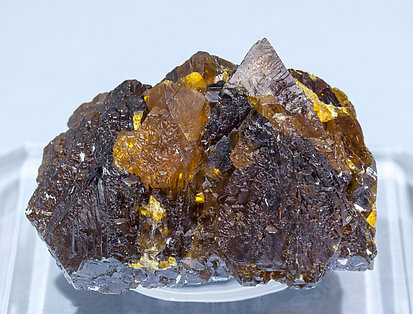 Group of very sharp Sphalerite crystals with curved faces. Good transparency, brilliance and excellent toasted honey color. With minor Dolomite. The Troya Mine has been flooded and collapsed for a long time. 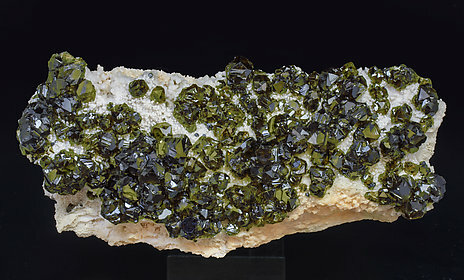 Group of Sphalerite crystals with well defined faces and edges, some of them with curvatures, on a white Baryte matrix formed by tabular crystals, some of them with a good size. An uncommon mineral association for this mine, that closed long time ago. It is flooded and collapsed, and so it is quite impossible to obtain specimens there. Have you ever seen anything like it? I have not! 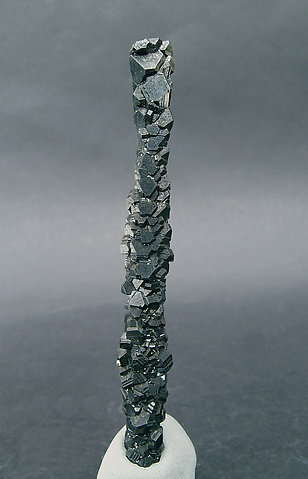 Like a walking stick, formed from a myriad of pseudoctahedral stalactitic Sphalerite crystals that makes a column of crystals complete (healed) on both sides. Are you looking for something different? Then this is it. Group of octahedral crystals beveled by the dodecahedron. They are bright, transparent and have the typical greenish shade that characterizes the variety Cleophane. 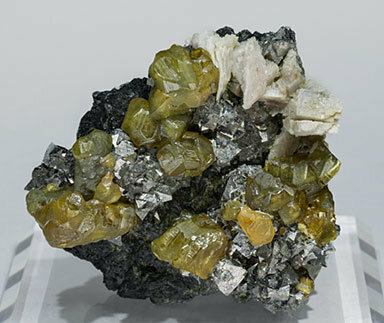 Very aerial aggregate, on matrix, of Sphalerite crystals with rounded and poorly defined faces. 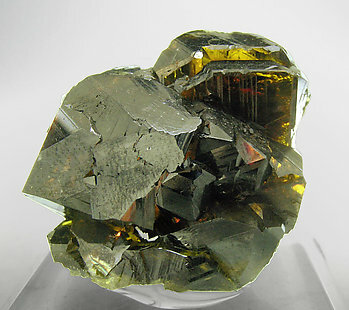 The crystals are translucent, with a clear yellow color, and with small but very sharp Arsenopyrite crystals. 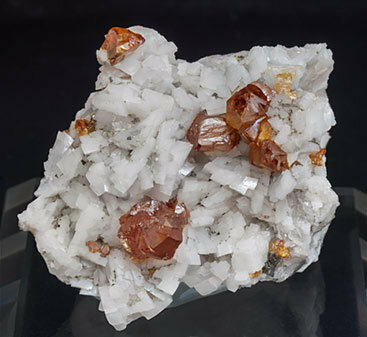 Complex Sphalerite crystals with very well defined faces and edges, with an intense and uniform honey color and on a matrix with white Dolomite crystals. 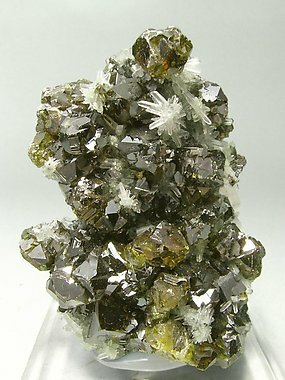 Twinned Sphalerite crystals with very well defined faces and edges, translucent, with a greenish-yellow color and on matrix, with very sharp and bright Arsenopyrite crystals, lenticular Calcite and small Magnetite crystals. 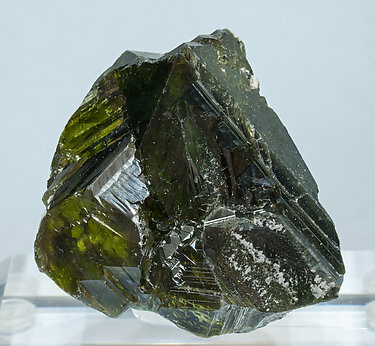 From the mining works close to the Aizpea Mines we offer this specimen formed by groups of complex Sphalerite crystals with curved faces and edges. More than vivid red to orange color. With some small tabular Baryte crystals. Really unusual. 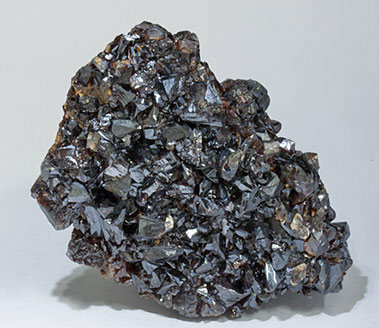 Group of complex crystals of Sphalerite. They are complex, twinned, translucent and have and attractive dark honey color. The matrix is a group of laminar crystals of transparent Baryte covered by small white Quartz crystals. A very esthetic piece. 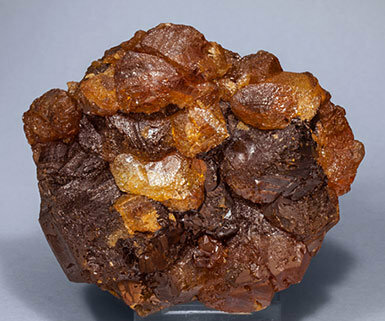 Druse of complex Sphalerite crystals, very rich with faces, clearly twinned and with very well defined forms. 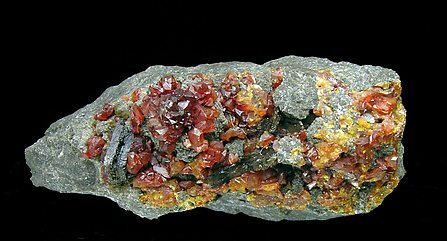 They are translucent, very bright, have a very deep color and are on a rocky matrix with small scalenohedral Calcite crystals. An American classic, typical of past samples from the Elmwood mine. 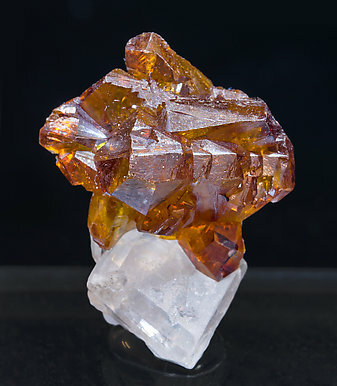 Group of complex Sphalerite crystals with very well defined faces and edges, transparent and bright with a very vivid honey color and on a Calcite matrix. A rare US classic found in Tucson 2019. 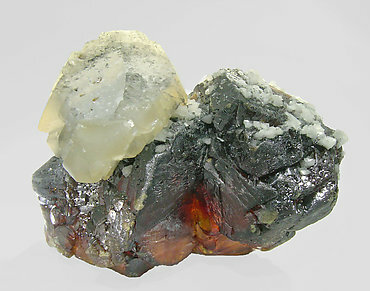 Aggregate of translucent and bright crystals with very well defined forms and polycrystalline growths. They have a very uniform honey color and are on a small matrix, with microcrystalline Calcite. The sample is from a classic Canadian locality where it’s currently difficult to obtain samples of such quality. 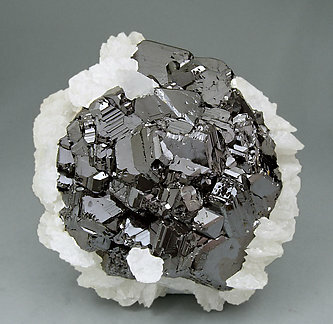 A “nest” of very sharp and brilliant Sphalerite crystals, very rich in growth striations. 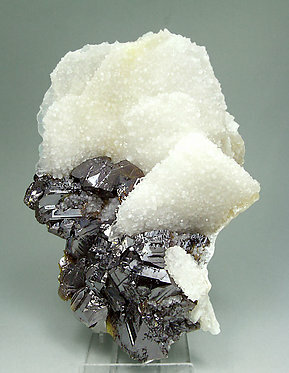 The Sphalerite crystals are surrounded by white lenticular Calcite crystals. Very, very esthetic. Druse of complex Sphalerite crystals that are very rich in faces and have very well defined forms. They are translucent, very bright and have a very deep color. On a rocky matrix with small rhombohedral Dolomite crystals. An American classic. 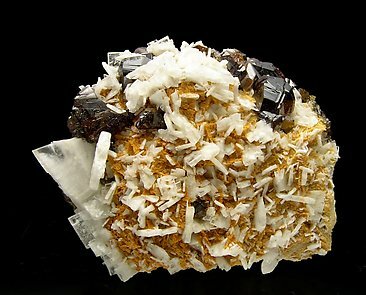 Complex crystals of Sphalerite of dark honey color and good transparency, partially coated by small crystals of Dolomite and with doubly terminated crystals of Calcite (a species uncommon at this locality in well-formed crytals), with the shape of a scalenohedron but composed of polycrystalline growths of the prism and a terminal rhombohedron.